Ozeri is a brand I have tried a few products from over the past couple of years including glasses, scales and pans and they never disappoint. I already have the *Ozeri Green Earth Pan (8inch) but now I have been very kindly sent the *Ozeri Green Earth Pan (£36.28 sale). The smaller 8" pan is just fantastic for frying veggies and eggs in especially as it is non-stick and we use the pan all of the time - it is such a staple in our kitchen (my dad likes it more than the expensive pans he's bought). This bigger 12" pan has the same design as the smaller version but it also comes with a pan protector to stop it from being scratched while it's stored away. The pan is ceramic, non-stick, eco-friendly and scratch resistant (although on the smaller pan it does have a bit of wear now but as I said we have been using it constantly and we have had it for ages!). The larger pan is really quite heavy and it might be a bit too big for some kitchens/stoves but for us it is great. I've been using it for crepes as it is so big and it works well! Overall, I'm really happy with both of the Ozeri pans we have and we use them so often, I can't recommend them enough! They can be bought from amazon. 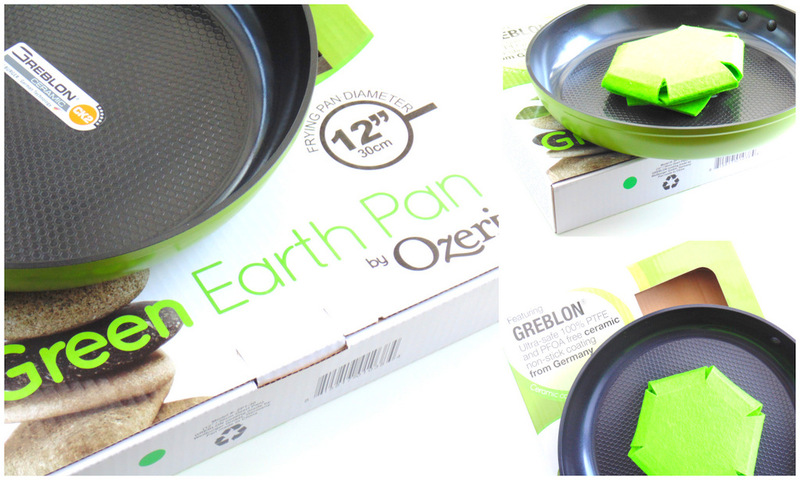 If you are looking for some mid-range but high quality pans, then check out Ozeri. Overall rating: ★★★★☆, 4/5. Have you tried anything from Ozeri?